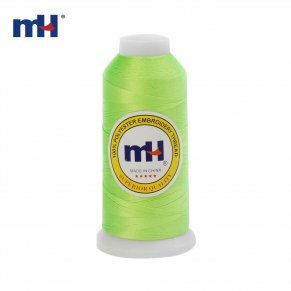 MH embroidery thread industry has a complete set of production line for spinning, dyeing, winding and shaping, working shop is around 20000 square meter5s with 400 skillful workers. This high luster 100% Polyester embroidery thread is UV resistant and much stronger than rayon, it is perfect for uniforms, work clothes, jeans and more. 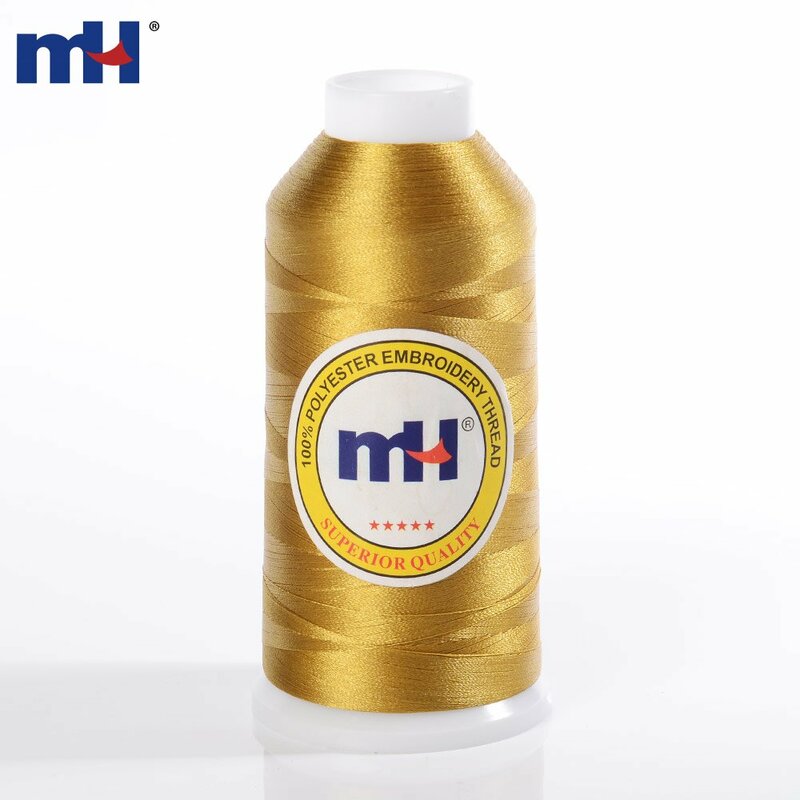 Metallic Threads are suitable for machine quilting decorative stitching and applique. They are ideal for machine embroidery.